Ashlie Fluitt from Louisiana, filed a wrongful death claim on behalf of her grandmother who died as a result of catastrophic side effects from using Xarelto. Fluitt alleges that Xarelto anticoagulation medication caused severe brain bleeding which caused her grandmother to die. Fluitt filed her lawsuit in the U.S. District Court for the Eastern District of Louisiana claiming that Hattie Deville-Goodwin’s death was caused by the drug manufacturers’ failure to warn about the uncontrollable bleeding side effects associated with the new-generation anticoagulant or blood thinner Xarelto. Deville-Goodwin took Xarelto for treatment of deep vein thrombosis or blood clot in her leg. Two months later, Deville-Goodwin developed severe bleeding in the brain, and died shortly afterwards from the deadly intracranial hemorrhage. Many lawsuits have been filed against Xarelto’s manufacturers, Bayer and Johnson & Johnson and the plaintiffs claim that the companies failed to warn patients and doctors about the risks associated with Xarelto and the lack of an antidote to help stop the bleeding. The MDL in Louisiana contains over 2,400 federal lawsuits, and the mass tort in Philadelphia contains more than 500 state lawsuits. The number of Xarelto bleeding injury and product liability lawsuits have exploded, with close to 2,500 cases being filed in the federal court that has been designated as the multi-district litigation venue. Since December 2014, all federal product liability lawsuits filed against Bayer and Johnson & Johnson over the bleeding side effects of Xarelto have been centralized and consolidated before U.S. District Judge Eldon Fallon in the Eastern District of Louisiana as part of an MDL, or multi-district litigation. The MDL in Louisiana contains 2,442 federal lawsuits as of December 15, and the state mass tortcourt in Philadelphia contains more than 500 lawsuits. Judge Fallon set a series of four bellwether trials to go before juries in the Spring of 2017. The number of Xarelto lawsuits continue to be filed by individuals across the United States, alleging severe and deadly bleeding complications. 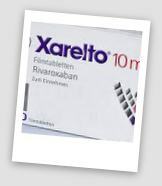 The number of Xarelto injury side effects and wrongful death claims continue to increase. According to some estimates, the total number of personal injury and defective product liability claims will be in the thousands. Recently, Molly Harr, from Ohio, has filed a injury lawsuit claiming that Xarelto side effects caused her to develop severe gastrointestinal bleeding, after using the popular oral blood thinner or anticoagulant for chronic atrial fibrillation. Atrial fibrillation is a very common heart rhythm problem, which can cause strokes. The lawsuit was filed in the U.S. District Court for the Southern District of Ohio. 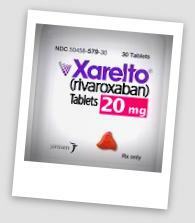 Harr notes that she was prescribed Xarelto in September 2013, for treatment of atrial fibrillation. Within 2 months, she developed severe gastrointestinal bleeding. Did you or a loved one suffer serious internal bleeding or other complications after taking Xarelto®? Xarelto is a prescription blood thinner that has been linked to serious bleeding events that have caused catastrophic injuries and death. If you or a loved one has suffered due to Xarelto side effects you may be entitled to compensation for your pain, suffering and medical costs. Call NOW, time may be limited. Our firm of experienced pharmaceutical lawyers will provide you with a no-cost, no-obligation review of your case. Act now by filling out the form or calling us at 888-210-9693 to discuss your legal options. According to recent research, the new blood thinners Xarelto and Pradaxa are no safer than warfarin when it comes to bleeding and complications like heart attacks and strokes. Researchers found no difference in the risk of bleeding events or arterial thromboembolism events between any of the three groups for the first 90 days of use. Medical experts are concerned about the new-generation anticoagulants, as they do not have a reversal agent, in the event of a serious or catastrophic bleeding, which can result in deadly results. Xarelto is under fire, if you follow the allegations in the over 550 lawsuits filed to date. Xarelto is one of the newer oral anticoagulant medications that has been approved by the FDA. The federal Xarelto personal injury and product liability claims are centralized before U.S. District Judge Eldon E. Fallon in the Eastern District of Louisiana. Xarelto is one of the newer oral anticoagulant medications that has been approved by the FDA. As a Dallas Xarelto Bleeding Death attorney and Texas medical doctor, I would like to update my readers about the ongoing status of the Xarelto litigation. Most recently, a wrongful death lawsuit was filed against the makers of Xarelto; Bayer Healthcare and Johnson and Johnson’s subsidiary, Janssen. Danny Julien recently filed a claim in the U.S. District Court for the Eastern District of Louisiana, on behalf of his father, Tommy Julien, who died as a result of uncontrollable bleeding. According to the personal injury and death lawsuit, Julien suffered from atrial fibrillation and used Xarelto to prevent strokes from the atrial fibrillation. Julien developed severe internal bleeding while on Xarelto, which eventually led to his death. According to court documents and a review of the inventory of filed lawsuits against the makers of Xarelto, the litigation appears to be gathering steam and increasing in breadth and depth. In December 2014, the U.S. Judicial Panel on Multidistrict Litigation (JPML) granted consolidated pretrial proceedings for all federal Xarelto cases filed against Bayer and Johnson & Johnson’s Janssen subsidiary over the new-generation blood thinner. The Xarelto personal injury and product liability claims are centralized before U.S. District Judge Eldon E. Fallon in the Eastern District of Louisiana.Bayer and Johnson & Johnson is now exposed to at least 220 bleeding cases in the federal multi-district litigation (MDL), with more on the way.